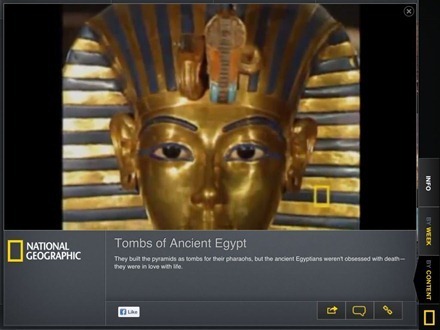 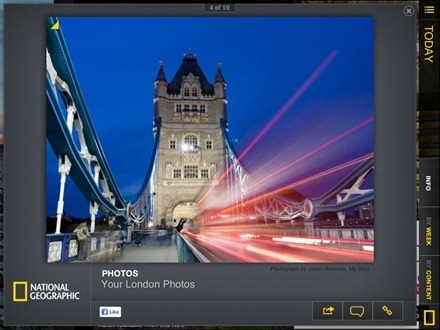 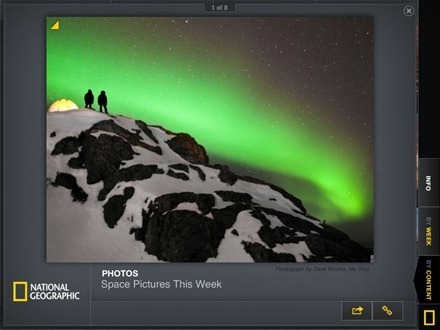 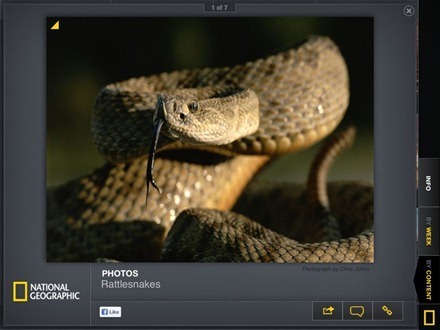 This week’s pick is National Geographic Today, from the National Geographic Society. 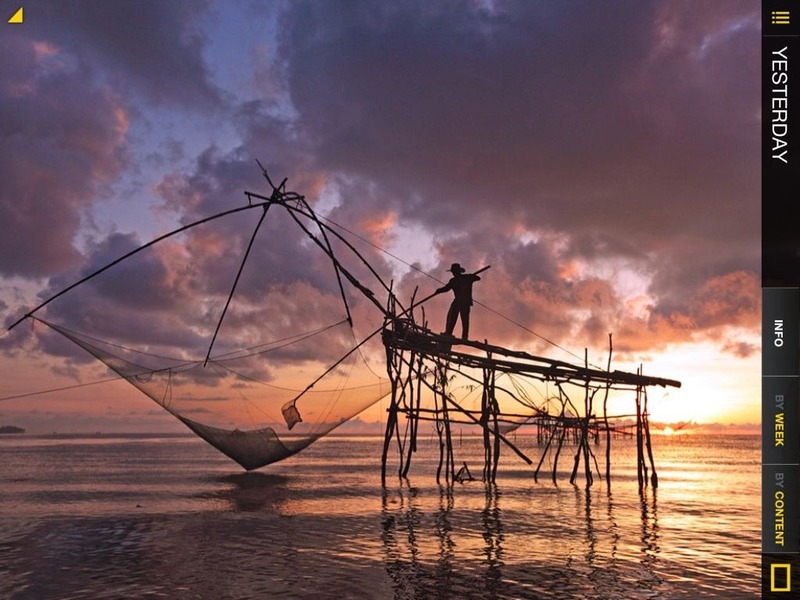 It offers a daily dose of the famously spectacular photos from National Geographic, and a lot more besides. National Geographic Today is another very nicely done app from National Geographic – I’ve not seen them put a foot wrong yet with their iOS apps. 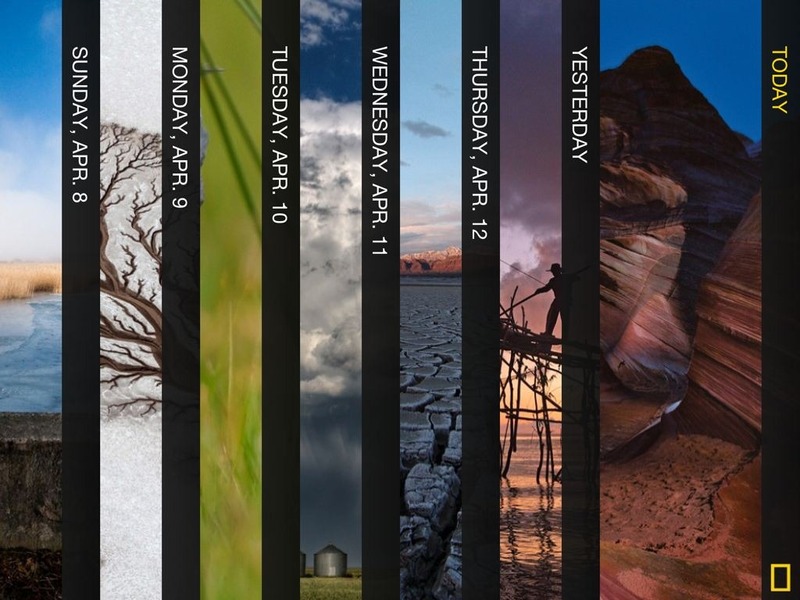 It’s easy to share content via email, Twitter, or Facebook – and you can save the wonderful photos to use as wallpapers. You can also browse through the app in By Week and By Content views. 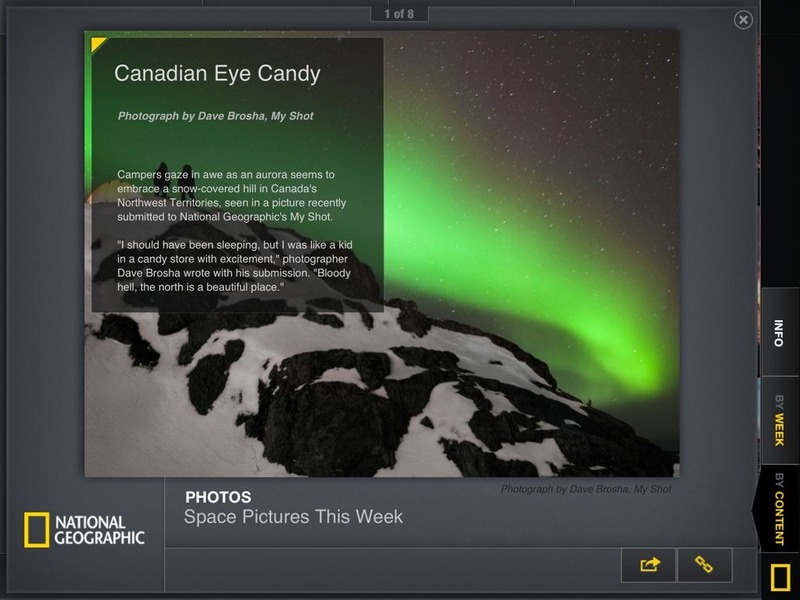 The By Content view is divided into sections for Videos, Articles, Galleries, and Featured Photos. 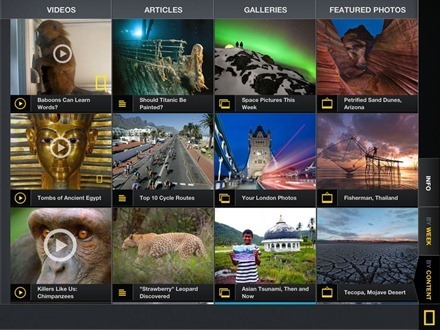 If you’re a fan of National Geographic, or just a fan of great photography, you’re definitely going to want to give this app a look. 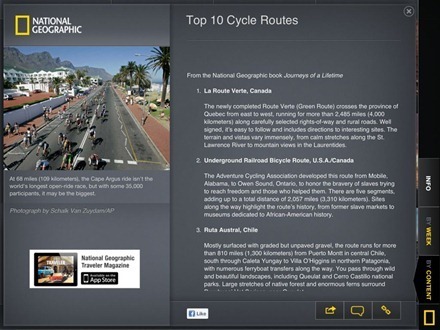 Here’s an App Store link for National Geographic Today. If you’re after more great free iPad apps, be sure to check out our previous choices for Best Free iPad of the Week. I like the app’s concept but was disapponited that it was not retina ipad optimized. 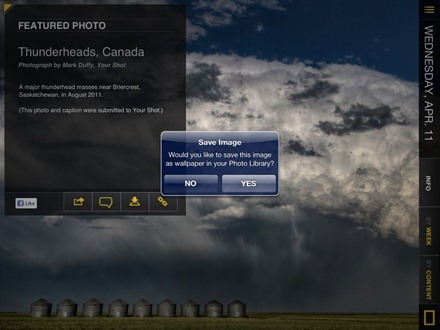 All the great photos look blurred on new ipad because of this. I have sent my feedback to the devs hoping they will update soon for 3rd gen iPad users.